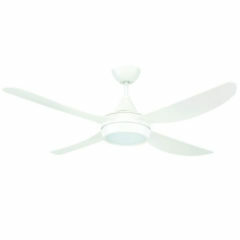 This Vector ceiling fan with light is a Brilliant fan available in 52″ (1320mm). It features an ABS plastic body and blades, and is suitable for indoor and outdoor undercover areas. It comes complete with 3 speed wall control. 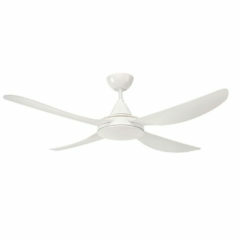 The Brilliant Vector ceiling fan features a modern 52 inch ceiling fan with ABS plastic blades. It comes with a 3 speed wall control and is powered by a 50W motor. It is available in black or white finishes,. 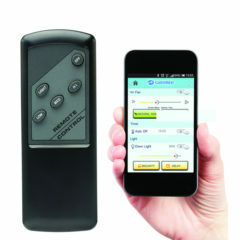 This kit comes with remote handset and receiver as well as a downloadable app that works seamlessly alongside it. You can control the fan from the remote or by your smartphone with the downloaded app. Includes 3 speed settings and an advanced timer. A wall bracket and battery are included for the handset. 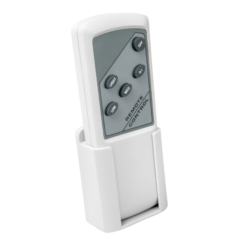 This remote control is suitable for selected Brilliant AC motor ceiling fans – check compatibility before purchase. Brilliant remote control suitable for most Brilliant ceiling fans. 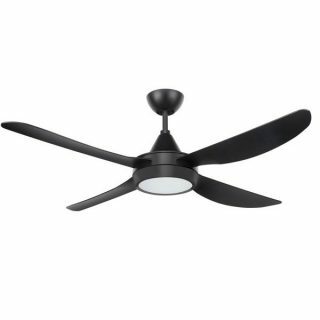 This Vector ceiling fan is a Brilliant fan available in 48″ (1220mm). It features an ABS plastic body and blades, and is suitable for indoor and outdoor undercover areas. It comes complete with 3 speed wall control. 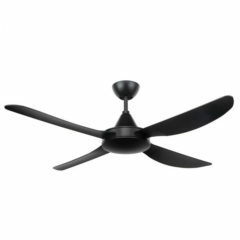 This Vector ceiling fan is a Brilliant fan available in 52″ (1320mm). It features an ABS plastic body and blades, and is suitable for indoor and outdoor undercover areas. It comes complete with 3 speed wall control.